Dr. Carla Sevin received her undergraduate degree from Duke University and her M.D. from the University of South Florida. She trained in Internal Medicine at Vanderbilt University and completed a Pulmonary and Critical Care Fellowship there. She has received additional sub specialty training at the Universtitäts Spital in Zürich, Switzerland, and the University of California in San Francisco, CA. She is board certified in Internal Medicine, Pulmonary Medicine, and Critical Care Medicine. Her professional interests and experience focus strongly on inpatient pulmonary and critical care medicine as well as the care of patients after critical illness. 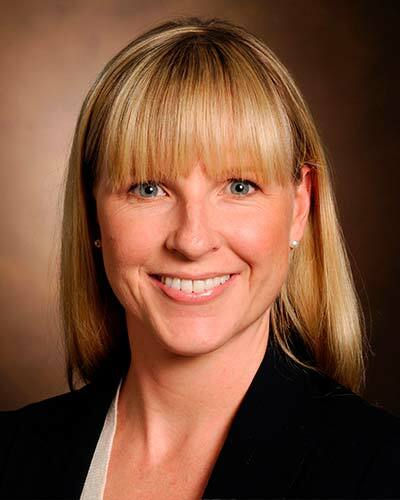 Since 2011 she has led the development and implementation of the ICU Recovery Center at Vanderbilt(formerly the Vanderbilt ICU Survivor Clinic). In 2014 she assumed the directorship of the Pulmonary Patient Care Center at Vanderbilt. In addition to caring for a robust inpatient and outpatient population of pulmonary patients, including those recovering from critical illness, she has worked with the THRIVE Task force of the Society of Critical Care Medicine (SCCM) to further awareness, research, and education about post intensive care syndrome (PICS),and in 2017 started the THRIVE Post ICU Clinic Collaborative. Through these efforts she has had the opportunity to speak with patients, caregivers, intensivists, primary care physicians, allied health professionals and hospital administrators about the pressing need to define this syndrome and develop a means to diagnose and treat it. She is often invited to speak on the role of ICU aftercare programs in our changing healthcare environment, and the benefits and barriers to creating such programs in practice.